“FLUFFY DOG CUTE” is the follow-up of “goddesse of cute” seriography. 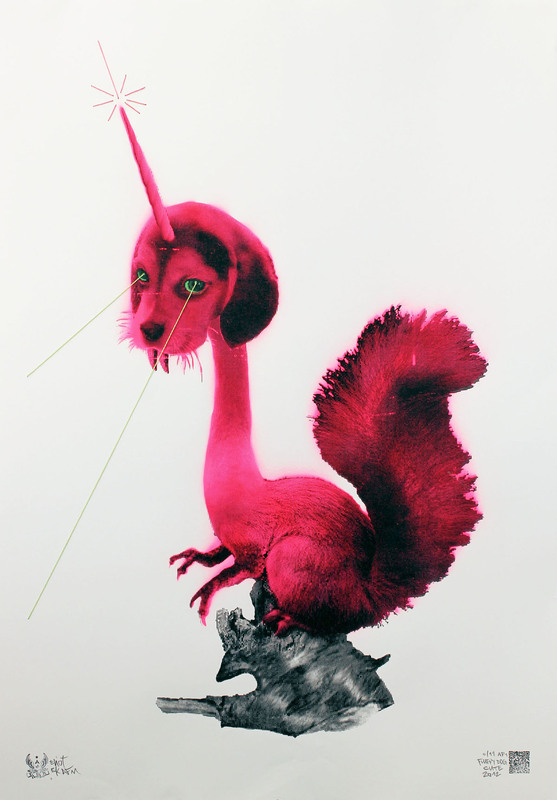 I create these wolperdinger creatures by doing a collage with psd and then using stencil (pink body and green eyes) followed by a screen print (black). Medium is thick paper. after that I apply yarn for beams from the eyes and horn. size is 100×70 cm – edition of 10 + 2 AP – made in Berlin 2012.